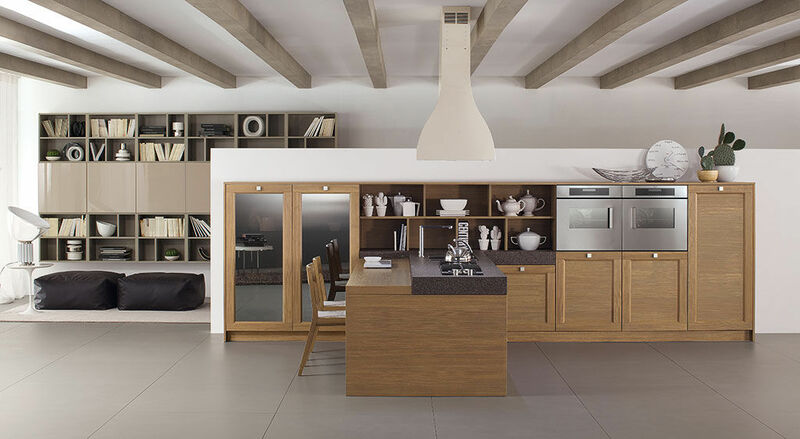 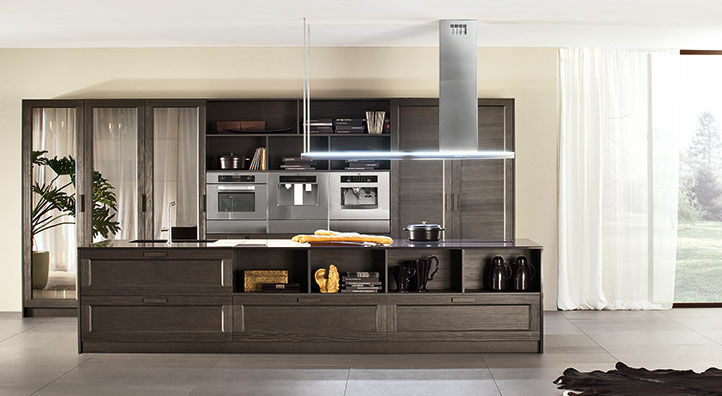 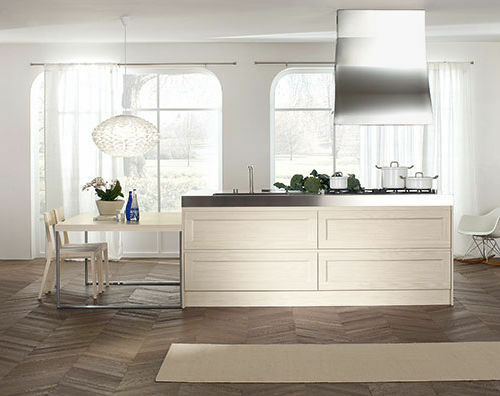 Glamour interprets a classical, rustic or modern taste depending on how its particular elements are personalised: an elegant kitchen whose frames can be fitted with glass or wood panels. 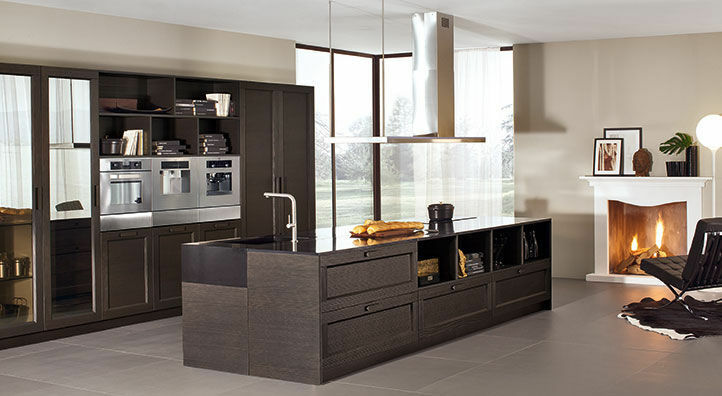 It is suitable for peninsula or island kitchens, or for linear and corner models, for a home in the country or the city. 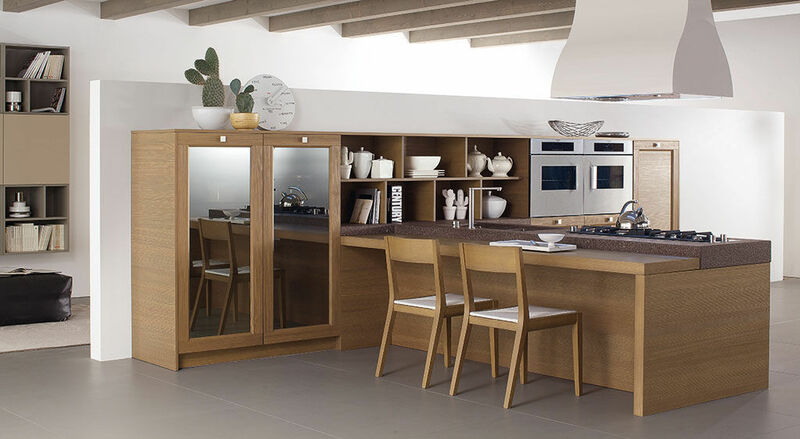 Glamour is perfect for anyone seeking a comfortable kitchen with reassuring and sophisticated details, such as the massive 12 cm thick porphyry worktop.